Last step in making our Miette skirts - hemming! Catching up? Order your sewing pattern and read up on the previous steps in the sewalong. The skirt is 57cm (22 ½in) in length from waist to hem, with an extra 2.5cm (1in) hem allowance. You might want to shorten it if you're little like me (that's not me in the photo, I'm much more mini!!). Pin the hem up by 2.5cm (1in), try it on, and adjust to your preference. 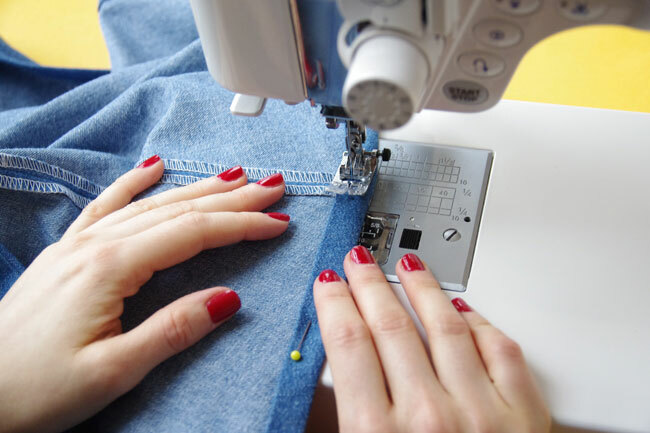 Once you’re happy with the length, press the hemline to mark it, and trim if you need to. Make sure the back openings are exactly the same length. Fold the raw edge under by 12mm (½in) and press. 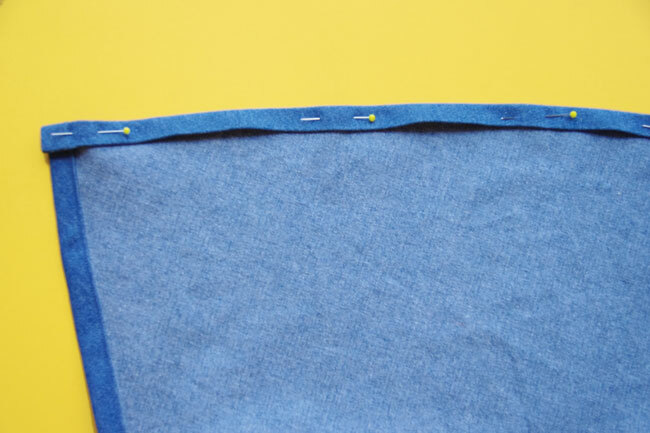 Then fold under another 12mm (½in) along the hemline you pressed earlier, press again and pin in place. Stitch the hem in place close to the inside fold, removing the pins as you go. Give everything a good press, and you’re done! You’ve made a super lovely Miette Skirt! I'd LOVE to see your finished skirt. Share your pictures on Instagram, tagging us @TillyButtons and using the hashtag #SewingMiette so we can find it! Alternatively you can email us a photo. We'll share some of these pics in the Maker Gallery on Pinterest. Just catching up? Download the pattern and take a look at the previous steps.